Saw a 35mm print that matches the Blu-Ray version in terms of color timing. Metrograph is playing a 35mm print on Friday, June 29 at 7pm. I won't be able to make it, but if someone goes, can they report back on the color? I'm curious as to how it'll look given that Criterion's old DVD and the new BD have very different color timings. 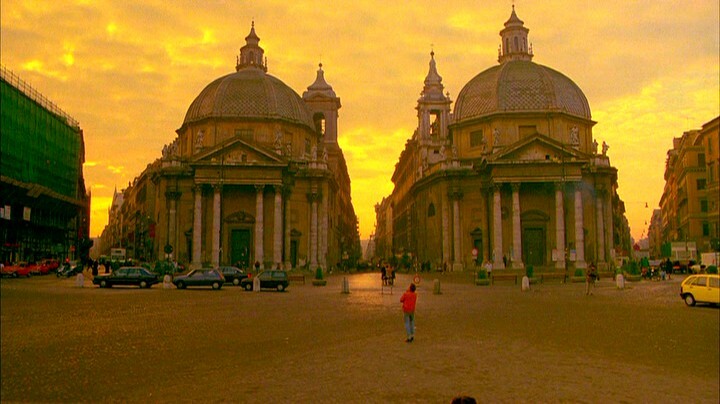 (The most egregious is a shot in Rome, which has a very warm look on the old DVD but for some reason is completely undone on the new Blu-Ray. The theatrical print I saw on the film's original release was much closer to the DVD in color.